Many a youth minister and pastor has used the tried and true jokes of offering up to their congregations the funny, non-existent, names of books of the Bible. Second Hesitations or First Opinions has produced a good laugh or two as has the Book of Hezekiah. For good or ill, the use of these fictitious titles can also be used to differentiate the true believer from the casual one. The joke can at times backfire. Sometimes the joke isn’t a joke at all but reveals the fluidity of the Christian Bible. Take, for instance, the recent acquisition of the Book of Third and Fourth Kings in Buswell Library’s Special Collections. Your average Christian may pass over this title but someone a bit more familiar with the full canon of scripture may do a double-take. Third Kings? The songs of Sunday School go from Genesis through the Pentateuch into the historical books from Joshua to First and Second Samuel then on to First and Second Kings. There is no Third Kings in the childhood song, only Kings followed by Chronicles. This is where history helps us out. Yet, the Book of Third Kings, or The Third Book of Kings, was how these books were known by the early church. The Israelite believers would have known this book as First Book of Malachim, or as the Vulgate presented it in Latin, “Liber Regum tertius; secundum Hebraeos, Liber Malachim.” It was in the Reformation period that the names of the books were modified. It was not the Catholics or Protestants that encouraged this change, but it was Daniel Bomberg (died 1549), an early printer of Hebrew language book, who introduced this change in his principal edition of the Mikraot Gedolot (rabbinic bible) in 1516-1517. It took many years for this change to filter into the printings of other Bibles. This edition of Third Kings was a part of an edition of the Great Bible printed in 1566. 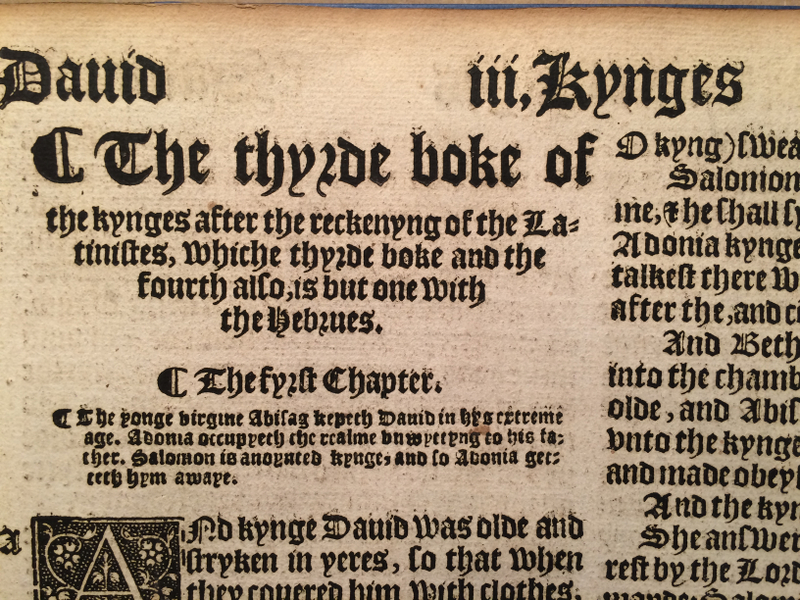 The original printing of the Authorized, or King James, Bible of 1611 also contained the Book of Third Kings. In a recent posting on TheAtlantic.com, Suzanne Fischer, notes that many “discoveries” that emerge from archives and libraries are not true discoveries but the result of good cataloging and description. 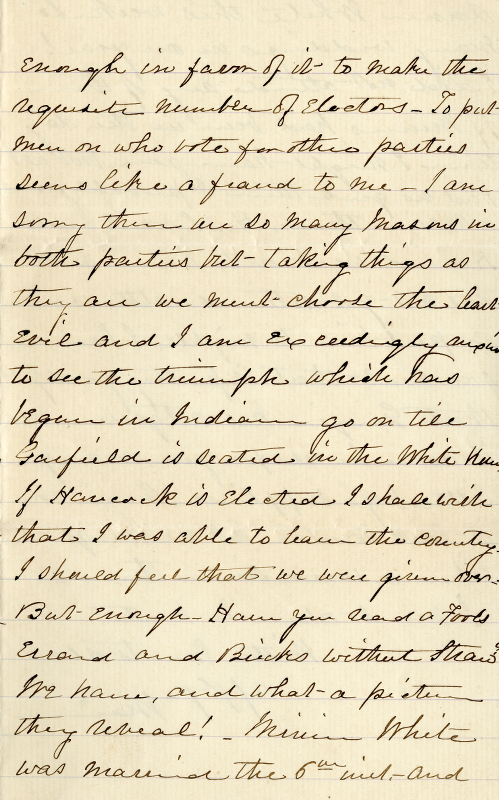 She was referencing Charles Leale’s medical report written the morning after the assassination of Abraham Lincoln. Fischer rhetorically asked her reader if the document had been uncovered in an old attic or beneath a set of stairs. No, she replied. The document was “right where it was supposed to be,” (emphasis by Fischer). The work of archivists and librarians is to describe things so that they may be found and this is exactly what is being done with a significant backlog with Wheaton’s Missions and Evangelism Collection. Over the years the former Billy Graham Center Library accumulated volumes of interest that lay beyond the staffing resources to fully catalog. Simple bits of descriptive information was added to the library catalog awaiting the day when the records could be expanded and rounded out to include all the pertinent information necessary to help individuals find and use specific volumes. During the summer of 2012 efforts have been underway to sort through the thousands upon thousands of volumes to locate the items of most interest to missions and evangelism for fuller cataloging. Materials not added may be diverted to other suitable collections, such as the Hymnal Collection, the library’s general collection, or elsewhere. Upon reviewing volumes that had been separated and taking a second pass to be sure that no missions or evangelism titles were missed, two copies of College Students at Northfield were found sitting side-by-side. Northfield was the birthplace of D. L. Moody and was the location of one of his three schools that he helped found: Northfield Seminary for Young Ladies (1879), Mount Hermon School for Boys (1881), and Moody Bible Institute (1886). 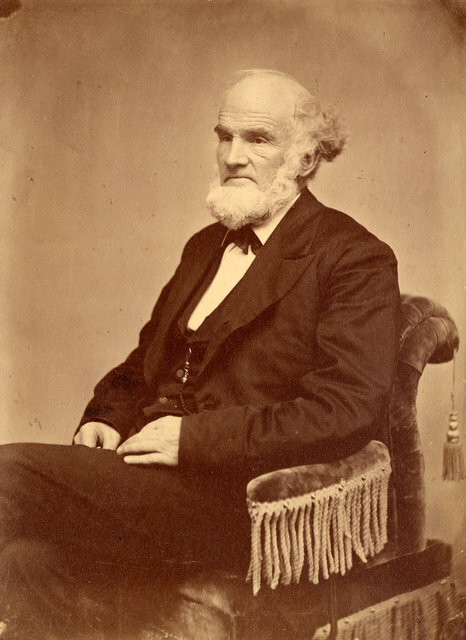 In 1880 Moody began his Northfield Conferences that drew the likes of George Pentecost, A. J. Gordon, Jonathan Blanchard, and Hudson Taylor, among others. Several years later Moody realized the value of drawing college students into service for missions. With the help of Mr. L. D. Wishard, then college secretary of the International Committee of the Young Men’s Christian Associations of the United States and Canada, the Student Volunteer movement got its start. Now, back to the two volumes. The first and the second were the same. They had been set aside and were not to be included, yet upon this secondary review, the content had direct relevance to missions and evangelism. While flipping open the second volume the fly-leaf jumped forth. 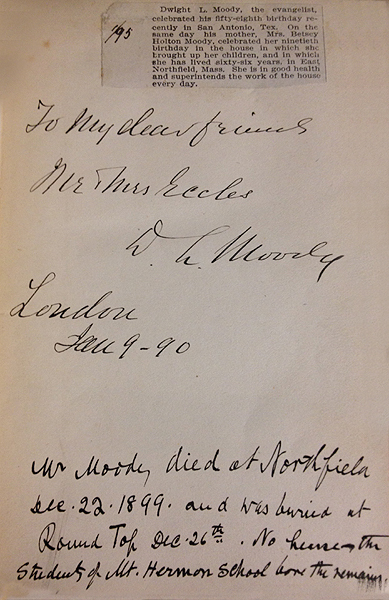 On this page was the signature of Dwight Lyman Moody with an inscription to “my dear friends, Mr. & Mrs. Eccles.” At the bottom of the page was a note written severals years later that noted Moody’s death and his being carried to his grave by the students of the Mount Hermon school. Eccles supported the work of Moody’s ministry. Born in 1843 near Sarnia, Dr. Friend Richard Eccles attended the University of Toronto’s School of Medicine and received an M.B. in 1867 and an M.D. in 1868. Opening a practice in Arkona, Dr. Eccles practiced for nine years before completing studies at St. Thomas Hospital in 1876. He was appointed Professor of Physiology where he instructed students for six years before becoming a Professor of Gynecology. Eccles also served as Dean. As well as being an educator, Eccles was a scholar as he researched, delivered papers, and published his findings. Furthering the work of medical education, he delivered the opening lecture of the Medical Department of the Western University in London, Ontario in 1894. After his retirement he was acknowledged for his work with an honorary LL.D. degree in 1916. 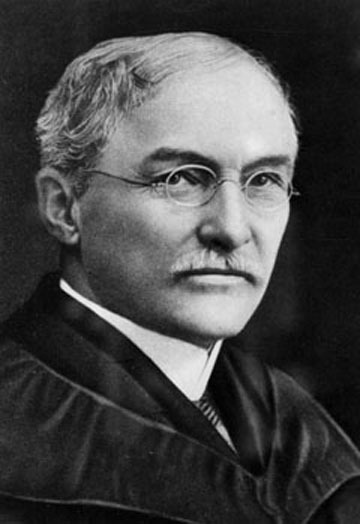 Dr. Eccles died in 1924. The entry for Eccles in the Cyclopedia of Canadian Biography notes that he was heavily involved in religious work and served as the president of the YMCA in London, Ontario for three years (1880-1883). To be sure, this volume will no longer be overlooked, nor will the Christian testimony of Dr. and Mrs. Eccles. “The Attic” was one of the many off-campus housing options in which students resided during their years at Wheaton College. 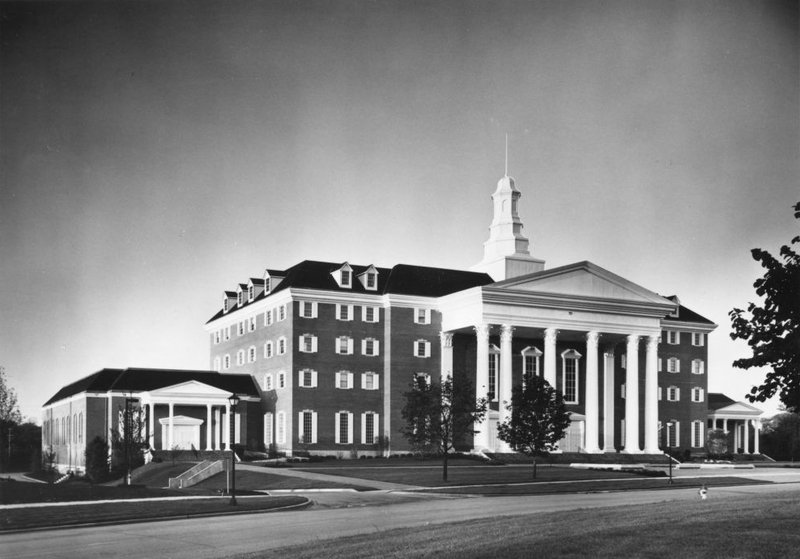 From the beginning of Wheaton and into the 1940s, the majority of students at Wheaton College and the Academy rented rooms in private homes. 712 Howard was such a home. 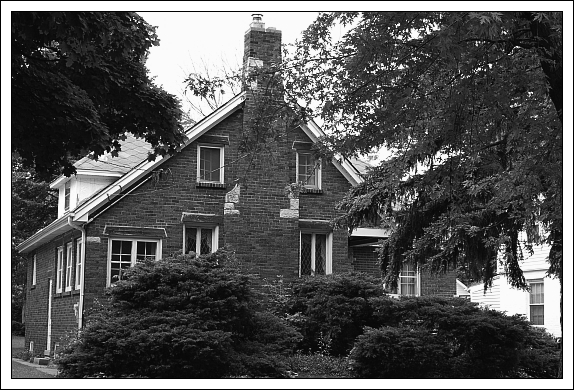 Known as “The Attic,” this home was owned by the Hansen family from 1940 to 1943. Built in 1931 the home served as the residence for Billy Graham during his junior and senior years (1941-1943). During this time he lived with Lloyd and Albert Fesmire, Don Brown, and the Hansen’s son, Ken. Hansen later went on to be the chairman and chief executive officer of the ServiceMaster company, a company that grew to over $500 million in revenues under his leadership. He also served as a trustee of Wheaton College. Though living quarters were likely more cramped, living within the nature setting of a home likely had its benefits. However, whether students stayed in College-owned or private homes, they were under the same regulations. Consultation with the Deans was a prerequisite for engaging any rooms. It was a system of the College being “in place of the parents,” while in school at Wheaton. 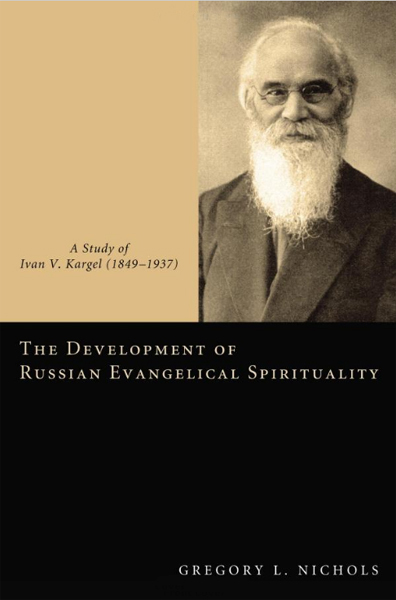 A new book on Russian Evangelical spirituality is receiving strong praise. 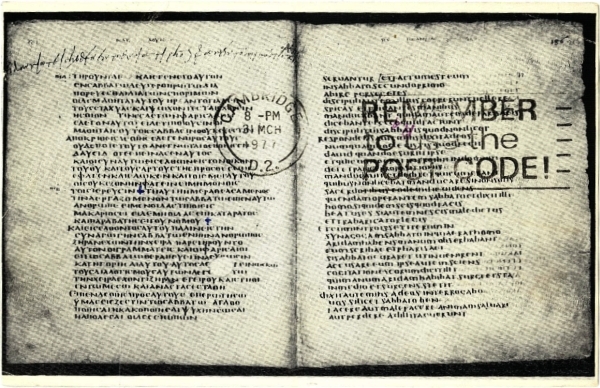 Aided by the holdings of the Wheaton College Archives & Special Collections, along with other archival resources, Gregory Nicholas has produced what Walter Sawatsky of the Associated Mennonite Biblical Seminary, calls a “deep, careful exploration of the developing spirituality and theology of Ivan V Kargel.” Sawatsky goes on to say that in The Development of Russian Evangelical Spirituality, Nichols has made “an important contribution [that] has earned [Nichols] the right to be heard.” Utilizing the Pashkov Papers, Gregory Nichols delves into the life of Kargel, whose life spans from Tsarist Russia to the Soviet Union. Despite Kargel’s disinterest in articulating a systematic theology, Nichols illustrates how the Keswick Holiness movement played a vital role in Kargel’s theology and how Kargel adapted this Western movement to his own context. Commending Nichols’ use of “previously neglected primary sources,” noted scholar, David Bebbington (University of Stirling), reinforces the significance of Kargel as “the most important spiritual writer in the early years of the evangelical Christians-Baptists in Russia and Ukraine.” The history of Christianity in Russia goes back more than a millennium, but the historical tapestry of Evangelical Protestantism was only woven more recently through the influence of German Baptists, a revival sparked by a British evangelist (Lord Radstock), and a pietistic awakening among the Mennonites in the South. It is clear from reviewers that Nichols book is a valuable contribution to the study of global Evangelicalism and the fuller understanding of Russian spirituality. Chicago has always been seen as a rough-and-tumble kind of place stuck in the center of this country’s vast agricultural region and far short of the glories of the refined cities of either coast. The former stockyards of Chicago reinforced this. It is said that Chicago’s name can be traced back to native peoples and their name for the wild onions found locally. Onions are grown and mired in mud and muck and this is not too far from an apt description of Chicago’s history. In the dozen or so years around the turn of the twentieth-century several individuals and writers sought to chronicle and clean up the filth of Chicago. The key event that afforded the opportunity for much of the work was the World’s Columbian Exposition in 1893. Having worked in Chicago for several decades during his worldwide evangelistic ministry, Dwight Lyman Moody held evangelistic meetings for six months during the “fair.” His campaigns have been detailed in Moody in Chicago (1894). Whereas Moody was the evangelist, William T. Stead was the journalist. His chronicling of the religious needs of Chicago were quite different. Though Moody garnered the public’s attention it was never through outlandish acts or prurience. The same cannot be said for Stead’s provocative work If Christ Came to Chicago. Stead had come to Chicago from London as the fair was closing up. He was known as a great reporter and social reformer and had come to Chicago to study its newspapers, but the exposition’s great White City caught his attention. The thought of its destruction seemed too much and Stead sought to preserve the glories created there. As Stead remained in Chicago his eyes caught sight of another Chicago. Rather than the gleaming purity of the White City he saw the filthy darkness of the Black City that was in need of social and civic regeneration. In all his travels he had never encountered a city with greater promise, or problems. The closing of the fair had left many out of work and the economy of Chicago, previously propped up by the fair, tumbled into an economic depression. The great needs that emerged also facilitated an environment filled with licentiousness and debauchery. 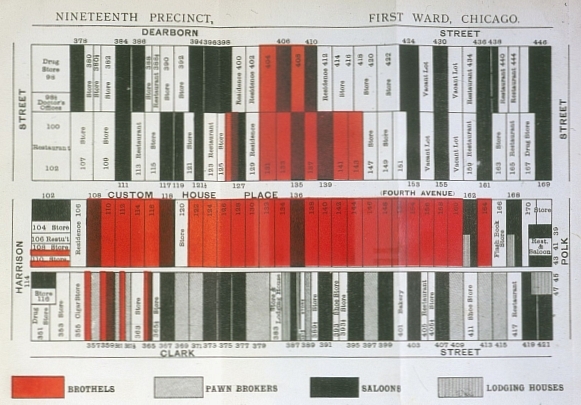 Stead wrote If Christ Came to Chicago to document the specifics of this environment and mapped it out with great specificity in Chicago’s First Ward. This laid the groundwork for future ethnographic studies of Chicago, most notably the work conducted by Hull House. By writing this book Stead hoped to enlist the help of Chicago’s churches, the labor unions, and millionaires, many of whom, he felt, had neglected their Christian duty to the poor. His jeremiad was written to incite action. It certainly incited a public response, especially the book’s map of the location of bordellos, saloons, and pawn brokers. Despite Stead’s goal of bringing together a “union of all who love in the service of all who suffer,” the dirt wasn’t easily shaken from the wild onion. The roots of the onion are many. Nearly a decade and a half after the close of the Columbian Exposition it was still quite easy to document the problems of Chicago. 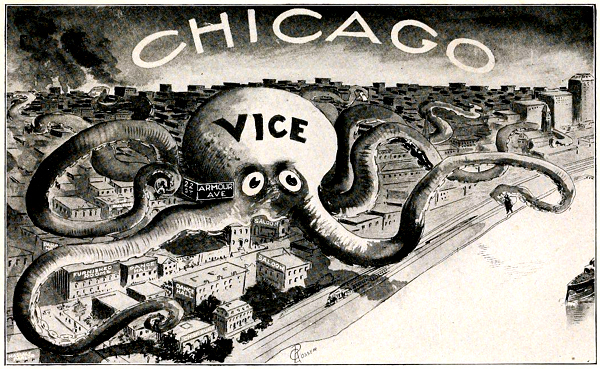 The Social Evil in Chicago (1911) was a study conducted by the city’s Vice Commission and served as it’s report to the Mayor and city Council “of exciting conditions” in Chicago. The conditions of Chicago had not improved and in some ways were normalized and facilitated as can be seen by the official licensing of prostitution within the bounds of Wentworth and Wabash avenues (p. 38). 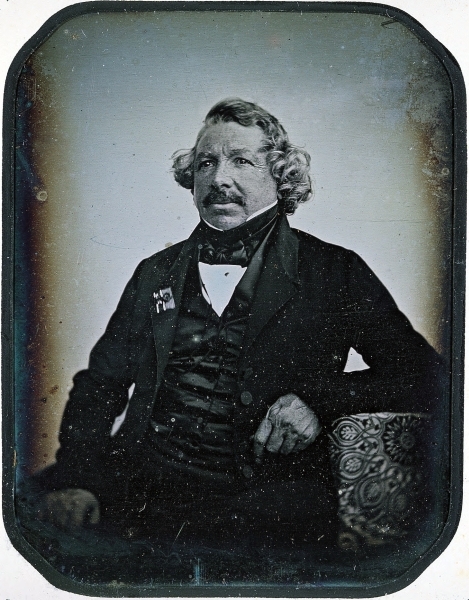 Today, November 18th, is the anniversary of the birth of Louis Daguerre. Born in 1787, Daguerre desired to capture the life and people around him in permanent form. He began to do this with dioramas, which he invented, in the 1820s. By 1826 he had learned how to do this using an early form of photography. Partnering with Joseph Niepce, Daguerre was able to hone the skills he learned in order to greatly speed up the photographic process. Because of this daguerratype photographs became quite desirable and all the rage. This is exhibited several ways within the holdings of the Archives & Special Collections. The Jonathan Blanchard letters show several instances of a similar desire to possess these fixed images that Daguerre helped bring to the average person. In 1855 Jonathan Blanchard wrote to his daughter, Mary, who was away at school, asking for a daguerreotype of her. Also, Mary Blanchard’s mother, Catherine Avery Bent wrote to her in 1860 that she was having daguerreotypes taken of her parents’ portraits. Very quickly individuals saw the usefulness of recording information, in this case painted portraits, using the photographic medium.